Controlling, harnessing and organising aspects of our everyday lives through an internet connection is becoming more and more widespread as each day passes. Whether it’s remote shopping and banking, or something as simple as adjusting the settings of your domestic heating while you’re still away. These are the kind of daily routines we are now very familiar with. The overriding objective being to make our lives that much easier and more efficient! Systems need to be written and coded in an intuitive way that anyone with basic scrolling and menu option experience should be able to use. Thankfully, that rule of thumb certainly applies to all seven of the yacht management software products that were carefully and diligently explained to me by their developers, during research for this short, but, hopefully, informative report. While software products offering a broad range of yacht management tasks are as popular as ever, the good news for captains, crew and shore-based managers is they now have even more options available to be able to ‘pick and choose’ software that can handle more specific tasks in a more in-depth way. “Specification is the way forward – doing one thing and doing it well” says Leslie Gillotte, who started the company alongside her superyacht captain partner in 2016 and now have some 600 active users in charge of yachts from anywhere between 20m and 150m+ length. By using an interactive site-plan (typically General Arrangement drawings, or technical / surveyor’s drawings when referring to a yacht), users with appropriate access levels can then access the same up-to-date information online via the web and mobile apps and set about highlighting important work or jobs still to be done; giving as much information as possible, adding photos and short videos, then dropping a location pin on the site-plan and assigning a priority level. Reports can then be printed off or emailed to individuals or chosen contractors tasked with the responsibility of carrying out the remedies required. 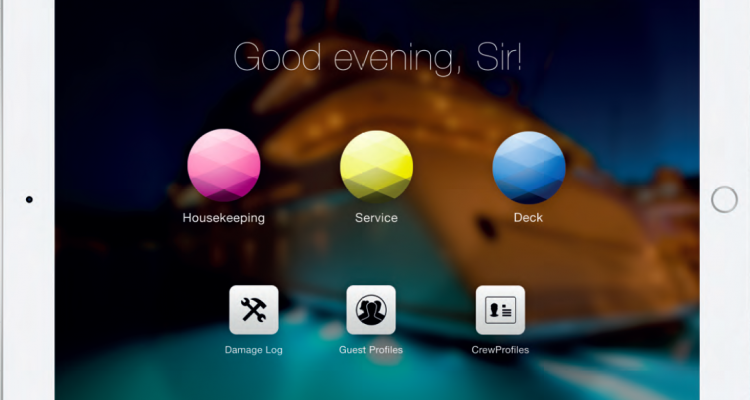 Specifically for the interior of yachts, villas and other luxury assets, Interior Management Systems (IMS GmbH) have produced CRYSTAL software, designed to improve communication, workflow and control between owner/management and crew. To put this within context, if you think about all the different precious fabrics and materials common to many superyacht interiors such as, for example, specialist leathers, furs, marble, silk, mahogany, walnut and precious and valuable artifacts, pieces of artwork, sculpture and other objet d’art, its easy to see why a software programme exists with detailed information on how to clean and maintain often highly valuable, extremely rare and unique personal items. The software does an awful lot more than just that, of course. It gives the owner/management power to control, plan and automate duties on the yacht. Engineers can log damages, the chief stew can keep an eye on inventory with the idea being to empower crew, rather than take responsibility away. In addition to their software product, IMS produce extensive written manuals and video tutorials designed to help crew/staff to use the right cleaning tools for the right objects, ensuring everything is treated correctly, stains prevented or removed etc with the best possible result. The manuals contain customised icons and colour-coordination and images corresponding with the correct cleaning equipment for instant implementation, so no matter if you’re entirely new to industry, or an experienced, senior crew. Yacht accounts and expense reporting is another specialist aspect of yacht management that everyone from an owner to the most junior member of the crew should be thinking about. Offering real-time visibility for a yacht’s onboard financial position ensuring complete transparency is Voly, a cloud-based solution delivering accounting the modern way. 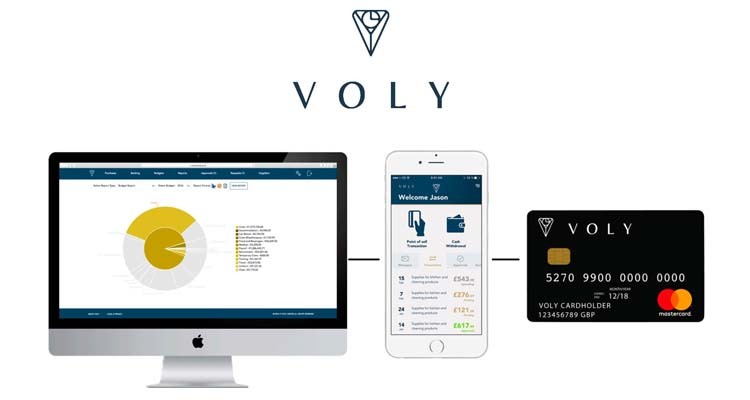 Jonny Allbut, in charge of yachting at Voly, told us: “Voly is a multi-currency, fully integrated accounting solution with a dedicated app and integrated prepaid MasterCard that links purchases to the core system, thus reducing time and eliminating errors caused by manual inputting. The Voly integrated payment solution allows administrators to pay suppliers directly through the accounting platform – one system for all your yacht accounting needs. 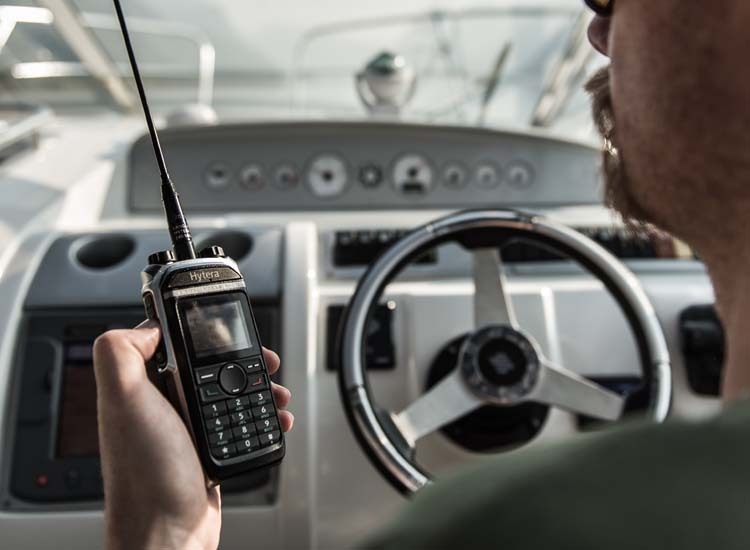 Based at Ballasalla, Isle of Man, marine personnel administration and payroll experts, iBos Ltd, have developed the Cello suite of products intended for Captains, Pursers and ‘Heads of Department’ involved with the management of yachts. iBos, Director, Toni Hackman, told us: “Cello Marine covers all personnel requirements including personal details, employment contracts, annual leave, rotation, qualification requirements and payroll. We also provide Access Financials, accounting and expenses package that links into Cello Marine, along with a Laserfiche document management solution for forms, bespoke development and purchase ordering. “Cello products are ‘future-proofed’ and designed for when technology advances and customer needs grow. For example, we’re currently developing the browser based system of Cello Marine which will make access easier and even more user friendly. We’re also integrating Digital Signatures, which will revolutionise the contract side of yachting. This will also be linked directly to Cello, so contracts can be directly uploaded with all the required signatures and no postal / courier costs incurred. Already adopted by 110 yachts between 30m and 120m length and several major yacht management companies, Deep Blue Soft V3.1 is one of the broader yacht management software products on the market with data that is server based, as opposed to cloud based. 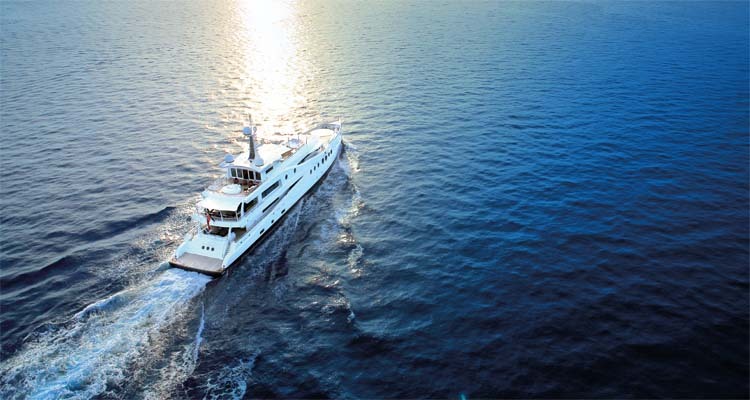 The Yacht can also host in addition a Local Server onboard, to be able to work Off Line when ever Internet connexion is not available. With 14 modules covering all daily operations, Company President, Benoit Faure, claims that Deep Blue has been designed to be used by all crew onboard, with each person having a personalised dashboard depending upon position. 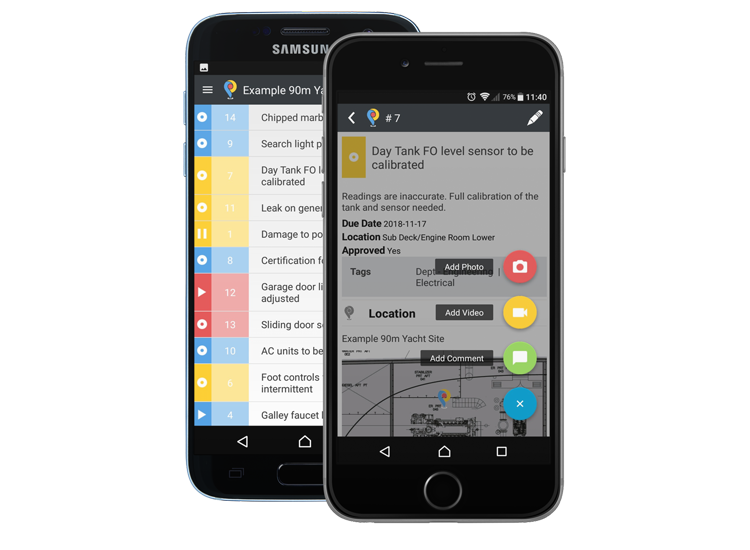 Also for managers and owners, Deep Blue becoming a reliable communication tool between the board, the management and the owner’s representatives. 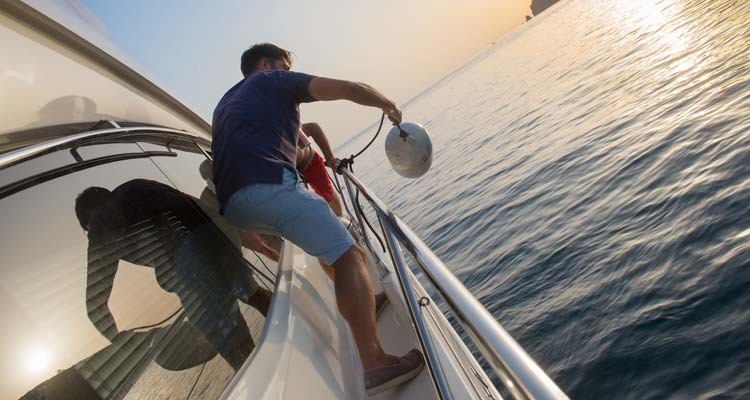 A quick glance at their website confirms this is certainly an all-encompassing product offering everything from yacht accounting procedures (expenses, budgets, payments, reports), crew personal data certificates and HR management (work schedules, rest days etc), through to a series of other modules connected to the global yacht maintenance and general safety management system of the yacht. 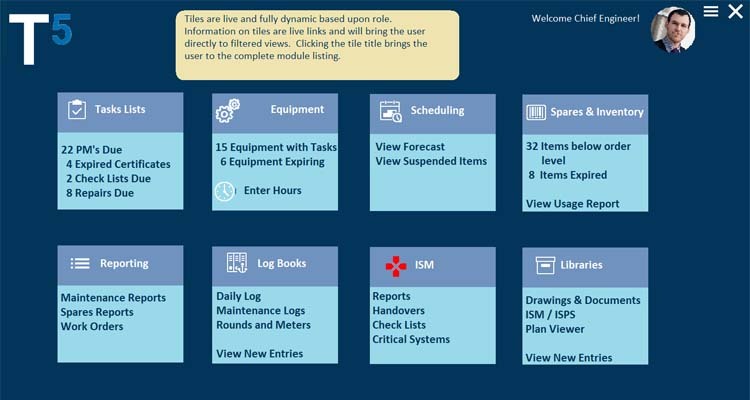 In this case, the Maintenance module is inter-linked with the Logbook, Spare Parts and Equipment List modules, so that repair and service ‘kits’ can be defined and assigned to various maintenance tasks. An advocate of the long-term future of management software, Benoit told us: “I believe software like Deep Blue Soft will be integrated by Shipyards during construction. Not just large yachts, but small pleasure boats should be delivered to their owners and crew with full management software, capable of covering all aspects of yacht management. “Yacht documentation/manuals given to crew under paper format should be organised as a digitalised database, with the possibility for shipyards to amend these documents even after yacht construction has been completed. “The entire maintenance program on board should already be implemented in to the management software with recommended or compulsory maintenance defined by manufacturers. Having worked in the superyacht industry for over twenty years, Scott Strand is the founder and lead developer behind the Triton Administrator product from Great Circle Systems (GCS). A marine networking communications company, GCS provides custom networking solutions that meet each customer’s unique requirements. Their data management software product came about through decades of experience from captains, engineers, deck officers and senior interior staff and with GCS staff having themselves worked in the industry, they understand first-hand how data management software can be an effective tool to increase efficiency and accountability across all areas of a yacht. With nine main modules providing inter-connectivity where applicable, Version 4.0 handles operational, analytical, and forecasting functions, such as logging, maintenance scheduling and reporting, accounting, crew management, hours of work and rest, spares and inventory management, ordering, contacts, work lists, Safety Management System, drawings & document management, ISM/ISPS reporting, cruising logs, guest services and uniform management. Steve Kahlich from Great Circle Systems, told us: “the main difference with our product over others is the ability to add, edit, and delete data without an Internet or network connection and syncing the database when back in range. Triton Administrator is not reliant on a continuous Internet connection to maintain functionality. Triton is unique in providing user-defined reports, drag & drop for images and attachments, and the entire system is modular and scalable. Based in Fort Lauderdale, Florida, and Douglas, IOM, Sealogical claim to have developed ‘the world’s first online yacht management platform in 2004’ and with eight software modules including Finance, Certificates, Crew, Technical, Calendar, Safety & Security, Charter and Vessel, theirs typifies the ‘pick and mix’ concept, which is proving to very popular amongst crews. Sealogical yacht data is stored in the cloud and although I’ve not used the product myself, the clarity of the dashboard and icons used within each module suggest this design has been thoroughly well considered from the users perspective. Speaking from experience, independent superyacht consultant, Dean Smith, has used a number of third-party software applications in the past and said: “The need for technical management and planned maintenance to be monitored by software may seem obvious, but actually it’s vital. “Various yacht management software available has made the life of the captain and senior crew far easier in managing ISM, ISPS requirements, in-line with their specific SMS systems.